Author: Marillier, Juliet Set In . 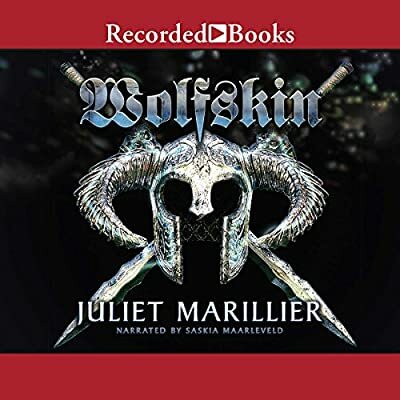 . .
Wolfskin is the first of a fantasy duet in The Light Isles series from Juliet Marillier, weaving history and folklore into a saga of adventure, romance, and magic. treasures . . . and a people who are willing to share their bounty. Ulf's new settlement begins in harmony with the natives of the isles led by the gentle king Engus. And Eyvind finds a treasure of his own in the young Nessa, niece of the king, seer and princess. His life will change forever as she claims his heart for her own. But someone has come along to this new land who is not what he seems. Somerled, the strange and lonely boy that Eyvind befriended long ago, has a secret---and his own plans for the future. The blood oath that they swore in childhood binds them in lifelong loyalty, and Somerled is calling in the debt of honor. What he asks of Eyvind might just doom him to kill the only thing that Evyind has ever truly loved.